Our cannabis chemistry training will equip you with the basics of cannabis chemistry, giving you a foundation of crucial knowledge. 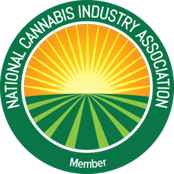 Covering everything from cannabis-infused products to health and safety issues, this training gives you the tools you need. Whether you’re an individual patient or a dispensary, the knowledge you’ll gain in this training will allow you to make your own cannabis edibles and infused products. After completing the cannabis chemistry training, you will understand the physical and chemical properties of the main cannabinoids as well as the effects on the human mind and body. This will allow you to have the maximum impact on your cannabis practice.